The Poeloe Berayan (Pulo Brayan) complex of the Deli Spoorweg Maatschappij (DSM) (Deli Railroad Company) was build in 1918 as workshop and housing compound for indigenous Indonesian and European personnel. (Sumatra Post 14-1-1918) For the higher level staff villas were constructed. There was also a school in the compound. 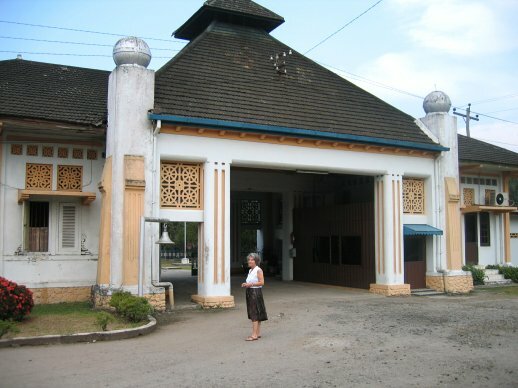 From April 1942 until April 1945 the Pulo Brayan compound was used as a camp for Dutch civilian internees. 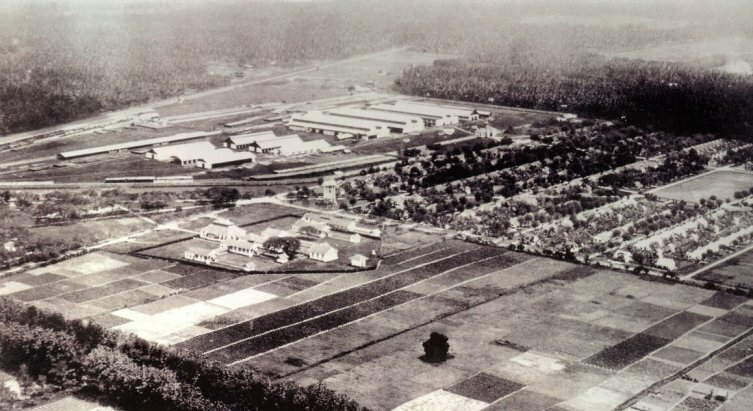 The camp complex was enlarged in phases. There were five departments in the camp: A, B, C, D and E. The first three blocks were small houses for lower DSM personnel. Blok A consisted of two coolie sheds. Blok D consisted of eighteen larger houses for Europeans. Some of the houses from Blok E were moved in 1944 to camp Glugur II, away from flooding. In June 1945 Poeloe Berayan A, B and C were moved to Aek Pamienke II. Blok D moved to Aek Pamienke I in April 1945. (Dulm: 2000: 39, 40).